Me (right) with a friend. The match is about to kick off. Players from both teams (Nepal, red) are on the ground for warm up session. 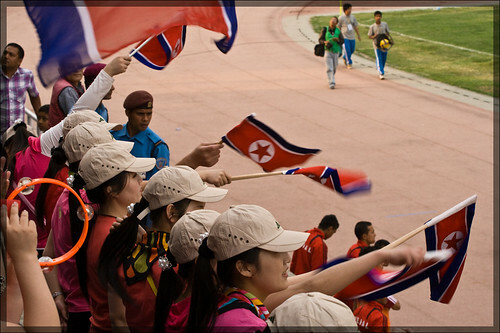 A small team of Korean fans have assembled on the western parapit. 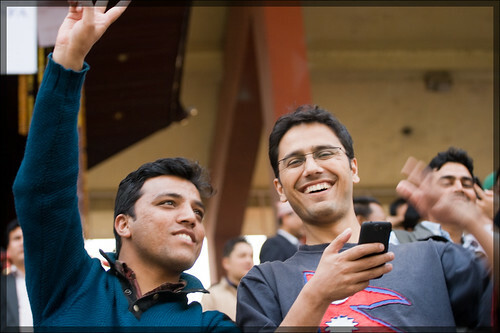 Nepali supporters have come in large numbers, creating a lot of noise. Just heard someone blowing vuvuzela! 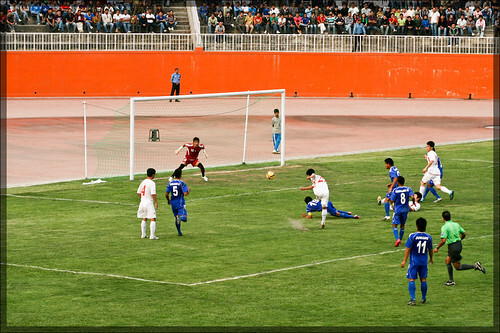 Nepali player played really good football. 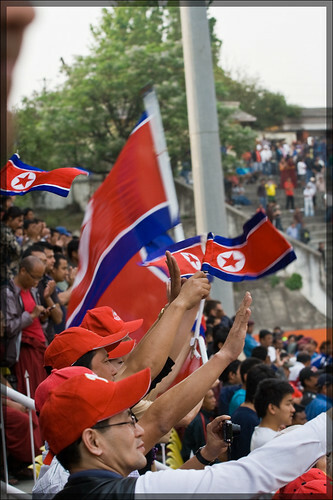 It’ll be another unforgettable match for Nepali football fan. 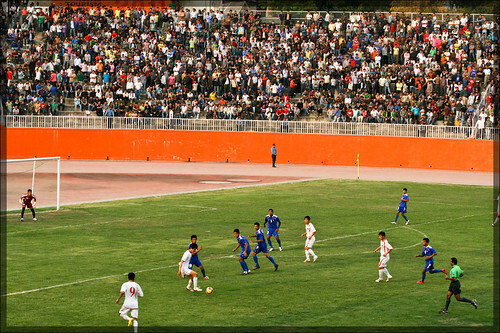 Match between 3star and Regar A Tadaz is the other match, which i still remember. Better luck for the match against Sri Lanka. 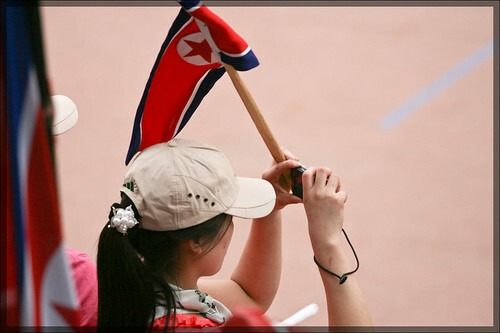 oi I’m wondering how many of the supposed North Korean fans are actually North Korean! 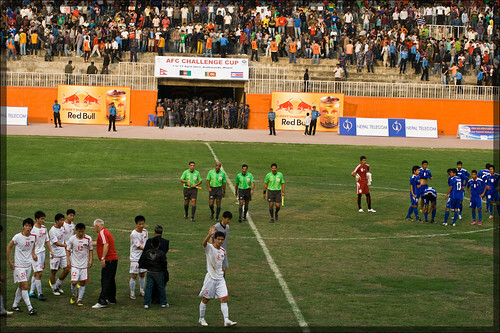 I think since nepal is hosting the AFC challenge cup this time, they are the favourites to win the cup this time!